Last Updated: September 12, 2018 | Subscribe to our weekly newsletter! We’ve all been there. One day, you’re splashing around in your above ground pool, enjoying a seemingly endless summer. The next, you’re looking at an inbox full of back-to-school emails. Temperatures drop. Your weird neighbor, Rupert, starts wearing his “good” sweatpants on his morning run. There’s no doubt about it—summer’s coming to a close. And if you live somewhere with cold winters (or just want to close your pool for the season), you’re already thinking about how to winterize your above ground pool. Sure, it’s a bummer when summer draws to a close. And nobody’s lining up for extra chores. But if you know how to properly close your above ground pool, you can get it done in a matter of hours and enjoy peace of mind while you wait for swim season on the other side of the thaw. If you’re fortunate enough to live somewhere with mild winters, you might not have considered what a pool needs to weather a frigid off season, and you might not close it at all. But if you live in a climate where winter comes to call with frost, snow, and deep cold, winterizing your pool—preparing it for and protecting it against winter’s ravages—is essential to keeping your pool in good working order. During the sunny days of summer, your pool is wide open and a tempting target for insects, leaves, branches, and the occasional lost critter. That’s no big deal during swim season, because you’re performing regular maintenance. But in the winter, your pool is unused, and it’s not so rewarding to grab a skimmer and head out in the blizzard to hunt for debris. If you leave your pool uncovered, you’ll have serious work ahead of you come spring. In addition to having to clean out your pool, you’ll need to rebalance the water, and maybe even deal with freeze damage. Winterizing your pool minimizes your risk of contamination and cold damage to sensitive components. You’ll save time, money, and frustration. Really, what more incentive do you need? Depending on where you live, your closing times will vary. But as a rule, if temperatures typically drop, and stay, below 65°F (18°C) during the off season, wait until the temperature falls below that point to close. Why? Algae, like orchids or William Faulkner novels, need heat to thrive, and cold temps help keep your water clear of infestation. Plus, leaving your pool open until the mercury drops gives you plenty of time to clean, test, and balance your pool before closing. 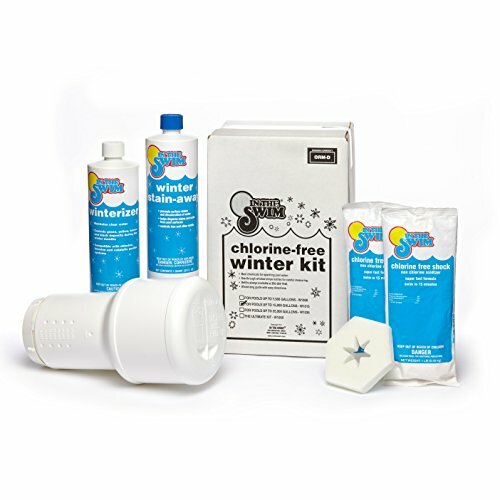 If you live in an area where the temperatures occasionally rise above 65°F (18°C) for a few days during the winter, you can take advantage of the warm spell to test and balance the water chemistry. These tweaks will help you keep your water clean and clear until spring returns. Frigid winters can be hard on just about any kind of swimming pool. With the right gear and preparation, you can soften the blow and make sure your above ground pool is ready to rock for years to come. pH increaser If you click this link and make a purchase, we earn a commission at no additional cost to you. 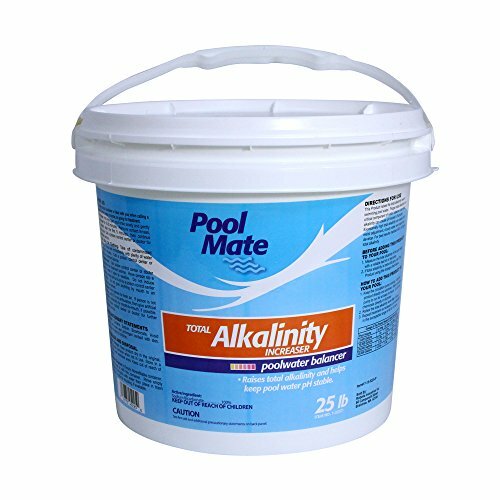 Alkalinity increaser If you click this link and make a purchase, we earn a commission at no additional cost to you. 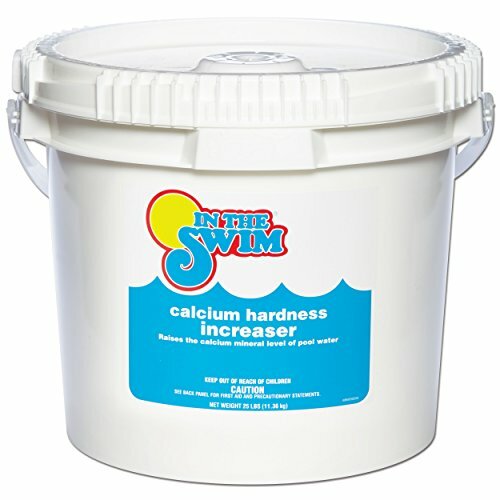 Calcium hardness increaser If you click this link and make a purchase, we earn a commission at no additional cost to you. Pool shock If you click this link and make a purchase, we earn a commission at no additional cost to you. Algaecide If you click this link and make a purchase, we earn a commission at no additional cost to you. Winter above ground pool skimmer cover If you click this link and make a purchase, we earn a commission at no additional cost to you. Expansion plugs If you click this link and make a purchase, we earn a commission at no additional cost to you. Return line plugs If you click this link and make a purchase, we earn a commission at no additional cost to you. Above ground pool winter cover If you click this link and make a purchase, we earn a commission at no additional cost to you. Cover winch and cable If you click this link and make a purchase, we earn a commission at no additional cost to you. Cover clips If you click this link and make a purchase, we earn a commission at no additional cost to you. 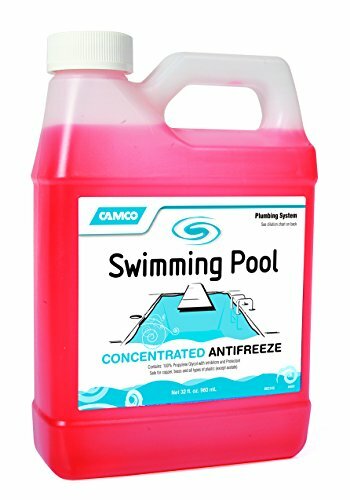 Swimming pool antifreeze (if necessary) If you click this link and make a purchase, we earn a commission at no additional cost to you. You wouldn’t put a coffee cup away dirty (at least, we hope not). So why do it to your pool? Head into the off season with a clear conscience. Before you winterize, clean your pool. Vacuum the entire pool, brush down the walls If you click this link and make a purchase, we earn a commission at no additional cost to you. , and skim the surface. A little prep now will save you from some potentially nasty surprises when you open your pool next spring. A clean pool makes it much easier to properly balance your water. 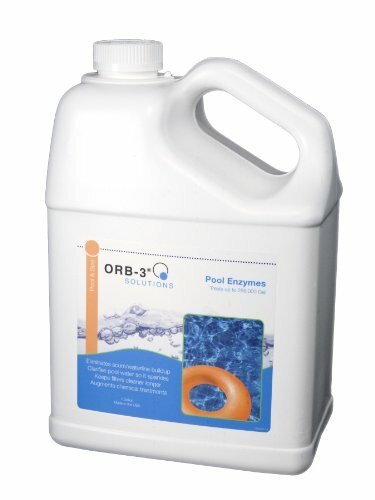 It also ensures nothing is left behind to feed algae or mold that might develop during your pool’s long winter’s nap. Open or closed, knowing what’s up with your water chemistry is essential to keeping your pool in tip-top condition. Take a few minutes to test your pool water before you begin closing. You can test the water yourself with test strips If you click this link and make a purchase, we earn a commission at no additional cost to you. 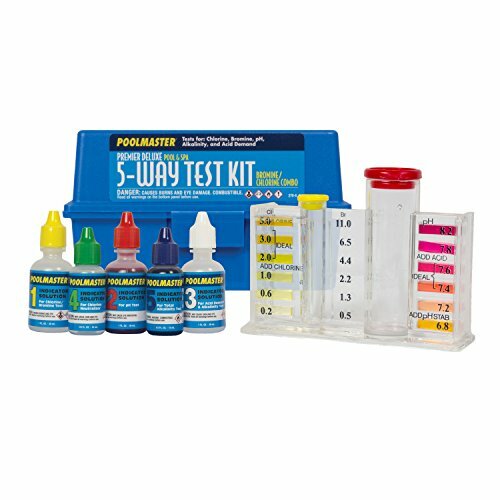 or a water testing kit If you click this link and make a purchase, we earn a commission at no additional cost to you. for a little more accuracy. If you want the most accurate results possible, you can also take a water sample to your local pool store and have them test it for you. Your goal is a pH between 7.4 and 7.6, and alkalinity between 100 and 150 parts per million (ppm). Since you won’t be adjusting the water balance during the off season, it’s better to be on the high side of these ranges when you close your pool because they’ll naturally decrease over time. Unlike Snow Miser or poor old Bucky Barnes, the chemicals you add to your above ground pool during closing are there to help during the cold season. Why balance your water when you winterize? Balanced water is less likely to cause damage to your pool liner and other components. If you’re not in the mood to break out your lab coat and beakers, grab a winterizing chemical kit If you click this link and make a purchase, we earn a commission at no additional cost to you. for your above ground pool. Follow the directions on the label, and you’ll be good to go. 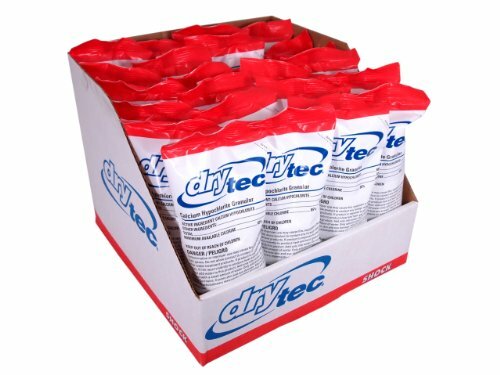 Note: Some winter chemical kits don’t require you to run the filter when you add them. Double-check the directions and verify which type of kit you have. You might be able to skip a few steps when finishing your close. Your pool’s pH level is a measure of how acidic or basic the water is. The lower the level, the more acidic the water is. The higher it is, the more basic the water is. If your water is acidic, add a base to lower the acidity. 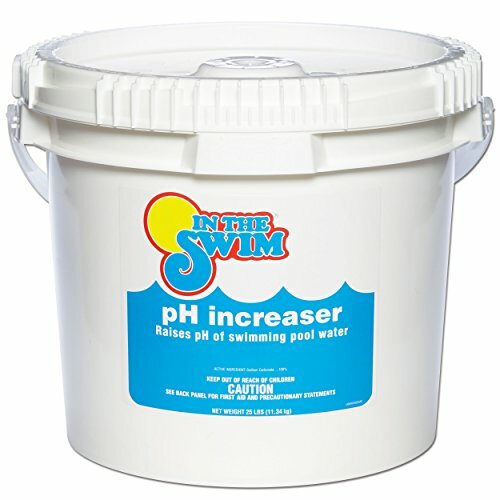 If your water’s too basic, add a pH increaser If you click this link and make a purchase, we earn a commission at no additional cost to you. to bring it into proper balance. Remember, you’re shooting for a pH in the range of 7.4 to 7.6, and higher is better for winter. Alkalinity is the measure of carbonates, bicarbonates, hydroxides and other alkaline substances in water. You can think of it as pH’s trusty sidekick in the battle for balanced water. You can tweak your water’s alkalinity the same way you would pH. Bump it up by adding a base, such an alkalinity increaser If you click this link and make a purchase, we earn a commission at no additional cost to you. or sodium bicarbonate to your pool water. Knock it down by adding muriatic acid If you click this link and make a purchase, we earn a commission at no additional cost to you. .
Don’t forget, the ideal range is for alkalinity is 100 to 150 ppm. And as with pH, a higher level is better when you’re winterizing. A frozen pool might be the ultimate in “hard water,” but it’s calcium hardness we’re worried about. Hard water deposits calcium in your pool and plumbing, forming an unsightly, crusty build-up over time. Conversely, if your water is too soft, it will try to draw the calcium it needs from inside the pool, which can damage tiled pools in the process by feasting on the plaster and grout. Too-soft water can also corrode metal. Plaster loss might not be a concern for above ground pools with vinyl liners, but avoiding metal damage definitely is. If your water’s too hard, you can purchase chemicals to lower the hardness, or just dilute your pool water with fresh water that isn’t hard. Water too soft? You can boost the level by adding a calcium hardness increaser If you click this link and make a purchase, we earn a commission at no additional cost to you. or simple calcium chloride. The ideal calcium hardness range is 150 to 400 ppm. Try to keep it smack dab in the middle at 275 ppm, if possible. Sure, you could whisper a dark secret into the filter or perform the lambada, but that’s not the kind of shock you’re after. Add pool shock to power up your sanitizer for the winter. Consult the directions for each to make sure you’re adding the right amount for your pool’s capacity. Since you’re closing the pool, you can use a fast-dissolving shock If you click this link and make a purchase, we earn a commission at no additional cost to you. before you put the cover on instead of using a typical calcium hypochlorite If you click this link and make a purchase, we earn a commission at no additional cost to you. shock that takes anywhere from 8 to 24 hours to work. Tip: If you’d rather use regular shock, just make sure you add it to the pool the night before you want to close it so the shock has time to work its magic. While it’s completely optional, you can add an algaecide If you click this link and make a purchase, we earn a commission at no additional cost to you. to your pool just before closing it to keep algae from invading over the winter. Follow the directions on the back of the package for the proper dose (usually the same dose recommended when starting the pool for the first time). You can also add a clarifying enzyme treatment If you click this link and make a purchase, we earn a commission at no additional cost to you. 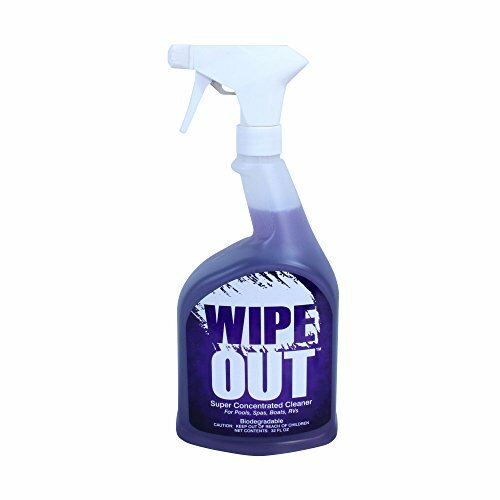 to further reduce algae growth, liner stains, and contaminant build-up. This comes in either a bottle or a convenient ball or “pill” If you click this link and make a purchase, we earn a commission at no additional cost to you. you puncture and add to the water, where they release their payload all winter to help you greet spring with a clear pool. If you’ve struggled with a green, murky pool at opening in the past, or want to avoid one in the future, these little supplements can help immensely. Just like the plumbing in your house, your pool lines can be damaged by ice expansion. And even if winters are mild in your area, clearing out this season’s water will make for a cleaner, happier pool next spring. Blow the excess water out of the lines from the skimmer, through the equipment and back to the pool, then plug the lines at the pool using expansion plugs If you click this link and make a purchase, we earn a commission at no additional cost to you. . If you don’t blow the lines, add swimming pool antifreeze If you click this link and make a purchase, we earn a commission at no additional cost to you. into the lines following manufacturer’s package directions to reduce the risk of damage. Important: You must use antifreeze made specifically for swimming pools, not the kind you use in your car. Don’t forget your return line. Remove the eyeball fitting and seal it with a rubber plug tightened with a wingnut If you click this link and make a purchase, we earn a commission at no additional cost to you. .
You have a couple of options when you’re winterizing your skimmer. The first step is to remove the skimmer basket and store it somewhere safe and dry for the winter. You can then decide whether you’d like to cover your skimmer for the season or not. A winter skimmer cover If you click this link and make a purchase, we earn a commission at no additional cost to you. is a plate that covers the entire skimmer, sealing out the elements. 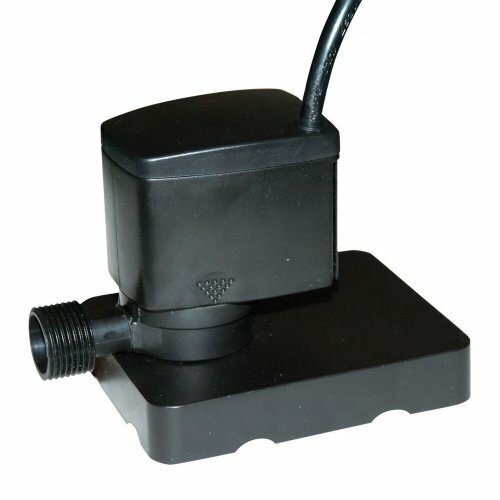 If you use one of these, you won’t have to drain your pool below the skimmer line, saving you a bit of time and hassle. If you choose not to cover your skimmer, keep an eye on your skimmer during the winter to make sure water can drain out if it rains. Keep the bottom of the skimmer free and clear—don’t plug it up. Note: If water accumulates in your skimmer over the winter and then freezes, the expanding ice cause your skimmer to crack. Also, if the snow or water load is too great, the weight could compromise your skimmer wall. If you get a heapin’ helpin’ of precipitation during the winter, a skimmer cover can save you big headaches down the road. 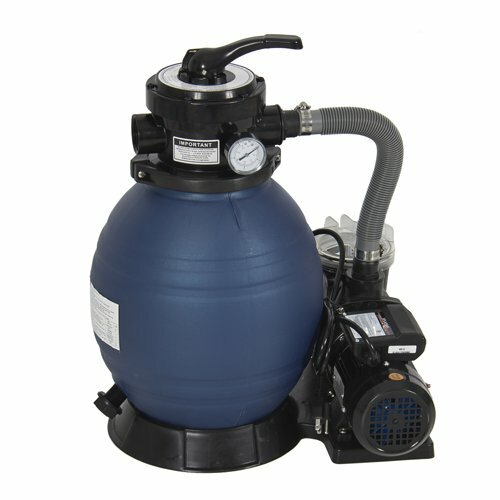 One of the lesser pool closing concerns is packing away the filter and pump. It’s a pretty straightforward process. Completely remove all drain plugs to drain and remove the pool pump If you click this link and make a purchase, we earn a commission at no additional cost to you. , chlorinator (if you have one), and all the hoses. Store all the drain plugs (including the ones from the filter) in the pump basket so that you keep them all together and you won’t have to go hunting for them in the spring. Keep the pump, chlorinator, and hoses indoors to prolong their lives. How you winterize will depend on which type of filter you have. Sand: Set your multiport valve to “Winterize,” and remove the drain plug at the bottom to allow the filter to drain completely. If your multiport valve has a bleeder valve and a sight glass, remove those too, and store them in the pump basket for easy retrieval next season. Bring your filter indoors for winter storage. If the weight of the sand makes this too difficult, you can leave it outside if you remove all the drain plugs. With the plugs removed, freezing water or condensation that builds up inside the filter tank won’t crack it. Diatomaceous Earth (D.E. ): Drain it, then rinse off the grids (or fingers) with a hose to remove excess D.E. Leave the valves open. Cartridge Drain it, then rinse off the cartridge with a hose. Leave the valves open, and store the cartridge indoors for the winter. Note: Moving your hardware indoors after you disconnect it really is the best option. It extends your gear’s useful life and protects it from damage. Protect your investment and bring your filter, pump, chlorinator, heater, and any other equipment in from the cold. If your pool uses a salt water system, switch the chlorine generator to the “winter” setting, if it has one. If it doesn’t, most chlorine generators have a removable electrolytic cell you can access by unscrewing the end caps. Remove the cell, or your entire salt system if you prefer, and store it inside for the winter. Note: Take a few moments to clean the cell before storing. It’ll prolong its life and help reduce the risk of hardware problems when it’s time to reopen your pool. When you’re closing your pool for the winter, don’t overlook your above ground pool ladder, toys, and any other accessories you may have. Leaving them in the pool can damage the items or, even worse, your pool. They could puncture the lining or start to rust. Corroded metal can contaminate your water and cause serious hardware problems. Gather up all your accessories, then give them a good cleaning with a multi-purpose pool surface cleaner If you click this link and make a purchase, we earn a commission at no additional cost to you. , and let them dry. Then store them in a clean, dry place, away from direct sunlight, until spring. Do you need to drain any water from your pool when you winterize it? The answer hinges on how you protect your skimmer during the winter. 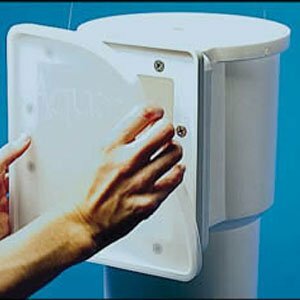 If you’re concerned about freezing and cracking, and don’t use a winter skimmer cover plate, then you should drain the water level below the skimmer and returns. If you do use a winter skimmer plate If you click this link and make a purchase, we earn a commission at no additional cost to you. , simply remove the hose from your skimmer so it can drain properly, and install the plate, and you won’t have to drain your pool. Keeping the water level at its normal level is better for your winter cover. How? If you have a solid cover, draining the water below the return lines can put added pressure on your cover when rain water and snow collect on top. You’ll need to keep draining water off the cover with a pump or siphon to protect it from damage. Important: Never drain an above ground pool completely when winterizing. Your vinyl liner can dry out, shortening its life considerably. Knowing how to close an above ground pool means mastering the mystical art of the inflatable. In cold climates, placing a pool air pillow—also known as an ice compensator because it compensates for the pressure of the snow and ice on top of the cover—under the cover protects the sides of the cover and the walls of your pool from damage. Even if you don’t live in a cold climate but you close and cover your pool, you can use an air pillow If you click this link and make a purchase, we earn a commission at no additional cost to you. to keep water and debris off to the side of the pool for an easy spring clean-up. The secret to winterizing success lies in inflating the air pillow to around 50% or 60% of its capacity. This allows the pillow to compress without immediately popping after the first substantial snowfall. Blow up the air pillow and place it in the middle of the pool. 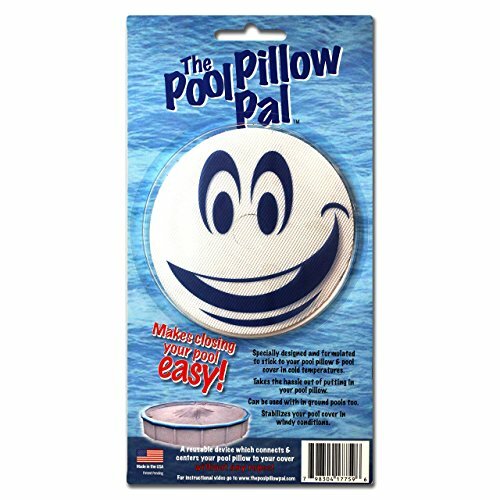 You can use a thin rope to secure it to either side of the pool so that it stays in the middle, or use an accessory designed to center your pillow automatically If you click this link and make a purchase, we earn a commission at no additional cost to you. . Some pillows also come with built-in grommets to allow you to secure them on all four corners for easy centering. Note: While you don’t absolutely need the pillow to stay centered all winter, doing so protects your pool cover and walls from ice more effectively. You can prolong the life of your pool pillows by sealing the seams and valves with duct tape once you’ve inflated the pillows. This will reduce air loss due to leaks and bolster the pillows’ strength. Almost done! Place the pool cover over your pool—and the air pillow—and secure it by using the cable and winch If you click this link and make a purchase, we earn a commission at no additional cost to you. , or a combination of winter cover clips If you click this link and make a purchase, we earn a commission at no additional cost to you. and a cable. Sometimes, more really is more. A combination of winter cover clips and a cable and winch will ensure a snug fit and give you greater peace of mind. If your pool has a walk-around deck, you can also add water bags If you click this link and make a purchase, we earn a commission at no additional cost to you. to help secure your cover. Don’t use bricks, stones, stray elephants, or anything else that might damage your liner if it were to fall into the pool. Throughout the winter, keep an eye on your cover and do your best to keep it dry. We recommend buying an above ground pool cover pump to help remove excess water and keep your pool cover in good shape. Your pool is cleaner than Mr. Monk’s kitchen. Your water is balanced, pristine, and sanitary. Your hardware is safe, dry, and secure. And your pool is snuggled up with a pillow and blankie. Well, y’know, kinda. Congratulations, grasshopper—the arcane secrets of how to winterize an above ground pool are now yours to command. There’ll be many more years of fun in the sun ahead. But for now, you can rest easy, knowing your pool is prepared for even the worst winter can throw at it. Mesh or solid? Or maybe the new kid in town: hybrid? Which pool safety cover is right for you and your pool? Find out before you make that investment.